Sundilla’s second show of 2019 brings to Auburn another first-timer. Dennis Warner will be appearing on Friday, January 25. Showtime at the AUUF will be 7:30. Advance tickets are available for $15 at Spicer’s Music, World Cup Coffee, and online at sundillamusic.com; admission at the door will be $20.Free coffee, tea, water and food will be available, and the audience is welcome to bring their own favorite food or beverage. For more information, including videos, go to sundillamusic.com. 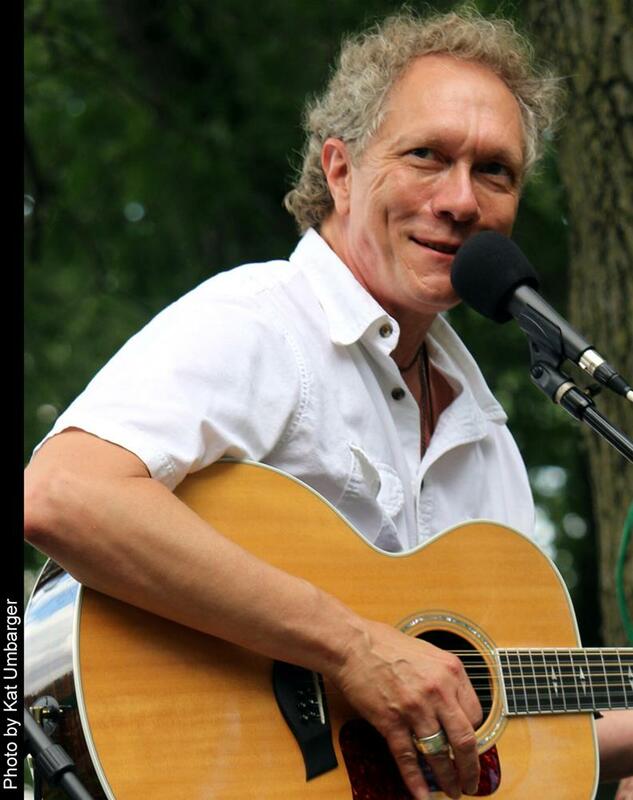 Besides being a gifted musician, Dennis Warner is also an outstanding entertainer, cleverly blending ballads, up-tempo songs, audience participation and humor into a memorable event. He is noted for his warm stage presence and ability to connect with his audience. Perhaps no one is better-suited to describe a Dennis Warner concert than Dennis himself: “It’s not enough to just show up and sing a few songs. I’m an entertainer at heart. My concert is more than the music. I want it to be fun and hopefully a bit thought-provoking, too. It’s also the conversation, the stories, and the connection. I am grateful to be given that opportunity.” Performing in over 100 cities each year, this Folk/Americana musician and entertainer has established a well-deserved reputation for captivating audiences with his smooth vocals, distinguished songs, enthusiastic personality and stellar playing on both six and twelve string guitars. He has also found a niche as a popular guest speaker at various community gatherings throughout the United States and Canada. In November of 2018, Dennis appeared as a headline performer at the Parliament of the World’s Religions gathering in Toronto, attended by more than 10,000 people representing more than 80 nations and 200 spiritual backgrounds. For his songwriting talents, Dennis was honored with an invitation to perform in concert at the Kennedy Center for the Performing Arts in Washington, D.C. Other accolades include being a three-time “New Folk” finalist for songwriting at the internationally acclaimed Texas based Kerrville Folk Festival, co-founded by legendary performer Peter Yarrow (Peter, Paul & Mary). Dennis has also appeared multiple times at Nashville’s famed writers’ club, The Bluebird Café. It is sure to be a great evening for everybody, so bring everybody you know to the AUUF on Friday, January 25, when we welcome Dennis Warner to Sundilla for the first time. The show starts at 7:30, and you can find advance tickets for just $15 at Spicer’s Music, World Cup Coffee, and online at sundillamusic.com; admission at the door will be $20. For much more information, including video, go to sundillamusic.com.